Don't be afraid to give other players help. 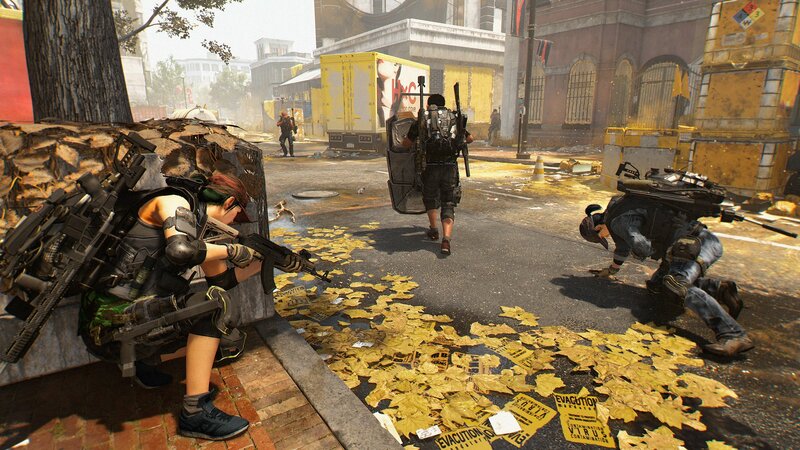 Answer the calls for backup in The Division 2 and provide agents with some much-needed assistance. The Division 2 is designed to be played with people, whether we have our own set group, or we need the help of others. Thankfully, Ubisoft was wise to introduce mechanics that solo players can take advantage of, such as making calls for backup from other agents. This guide will explain how to easily answer the call for backup when a fellow agent is in need. The first step to being there for fellow agents is to ensure that calls for backup are enabled. 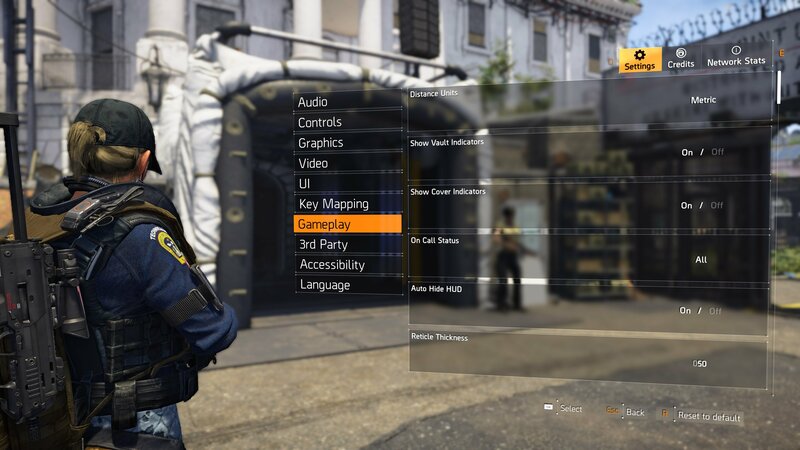 This involves going into the games Settings, then Gameplay, and making sure the option for On Call Status is set to All. From here, players will begin to periodically receive calls that other agents need assistance. 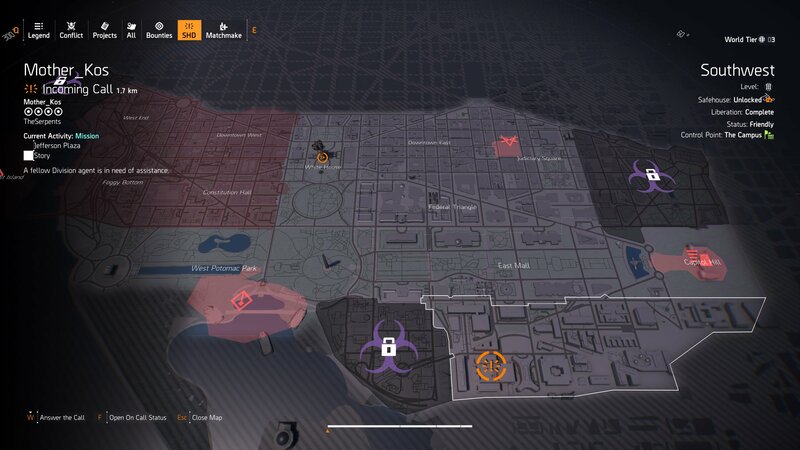 When a call to for backup from another agent arrives, open the game’s map and use the navigation menu in the top left-hand corner of the screen to select SHD. This will remove the clutter of icons and leave only markers for any agents that have active calls for help on the map. To accept the call for assistance, look in the bottom left-hand corner of the screen for the option to Answer the Call. Doing this will matchmake the caller and recipient. Of course, there are certain activities that player might not want to participate in. Thankfully, active calls come with a description of the activity the caller is currently engaged in. If a Division agent needs some assistance with a mission that’s longer than preferred, ignore the call. While it’s important to answer the call for fellow agents when possible, this feature can get annoying. The Shacknews guide on how to disable calls for assistance can help eliminate that annoyance. For other help beyond this, though, visit The Division 2 game guides and walkthrough. going into the character screen, then moving over to 'social', is there an option to join there as well? not only from the map menu? this article is needed, but shouldn't be. I bet there will be a non-trivial number of hits to this article, which is good for Shacknews. This should be single key/single click response on the main UI. You can single click and join a random call for help from the main screen, without loading any menus. You won't know what region or if they're in a mission, but random calls can be accepted without opening the map unless you wait for the notification to fade. How? I felt like an idiot asking how to do this in clan chat, and even pmchem gave the same explanation as Bill Lavoy. Prior to the patch, there was. You just held M.